Innovative Hanging Solutions for your Fabric and Fiber Arts. 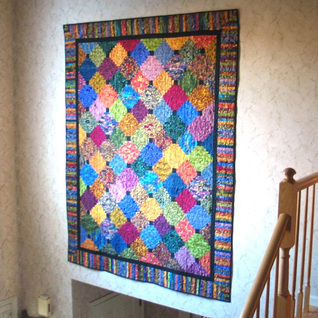 ﻿﻿﻿Hang quickly and easily -- all of your quilts, rugs, banners, weavings, and other fabric decor. Hang on any wall or draped exhibit booth, any studio, museum, or art gallery. Join our email list for news and special discounts on purchases. We will respect your privacy and do not share your email.